Listen — a billion people are throwing up. That’s a rough estimate of course, but every year somebody at the Oscars says a billion people on the planet are watching the program; however many watched this year’s Oscar show, they may well have felt sickened by it. It was a stomach-churning, jaw-dropping debacle, incompetently hosted and witlessly produced. Seth, can I have those hours of my life back? Please at least promise to never, ever, host anything again. 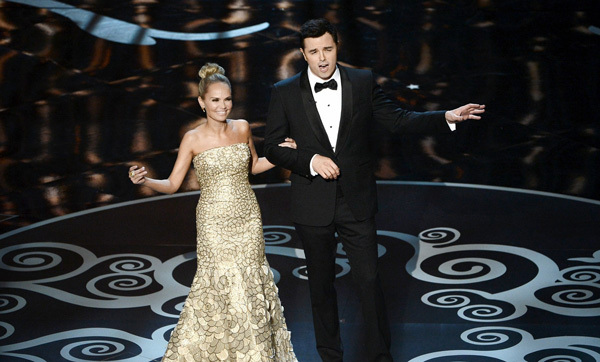 And Zadan and Meron, the Tonys called. They want their show back. The problem with calling the show the worst ever is that make it makes it difficult to call next year’s ceremony the worst ever. I made that mistake in 2010 when Steve Martin and Alec Baldwin hosted. 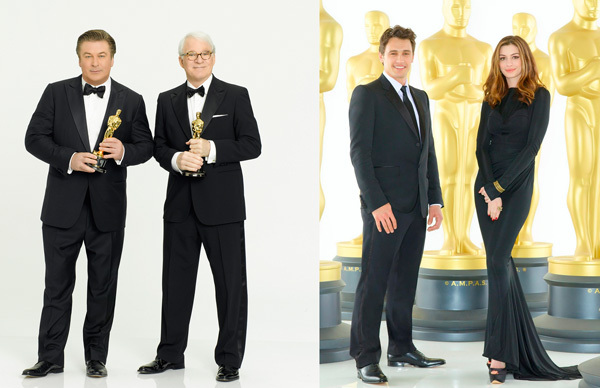 While, at the time, it seemed like Oscar’s lowest point, the next year I thought Anne Hathaway and James Franco were even worse as joint hosts. Last year, Billy Crystal was a welcome improvement. 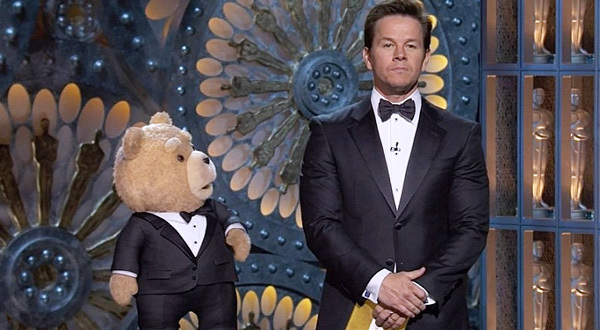 This year, my only issue with MacFarlane was that he brought things to standstill with several overly long song and dance numbers and inserted an indulgent commercial for his own movie Ted. ..,it wasn’t the acceptance speeches that prolonged the night; there were too many stars doing fatuous presentations — even Melissa McCarthy wasn’t funny. 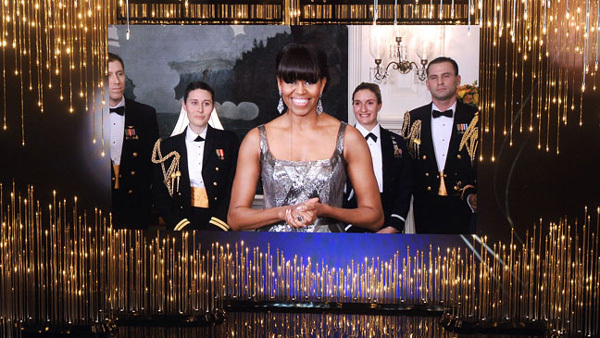 And by the time Michelle Obama made a surprise cameo, via satellite, to announce the best picture, it was almost midnight and too late to revive a sagging evening. Mr. MacFarlane didn’t ruin the show. But the show almost ruined the Oscars. This was the best Oscar broadcast I can remember. Granted, the forgetability of the broadcast has historically been its defining feature, but MacFarlane’s edge was welcome and honed so as to complement the musical numbers: The ego-teasing, loser-mocking show-closing duet between MacFarlane and Chenoweth glinted with a fantastic “Mack the Knife” meanness. 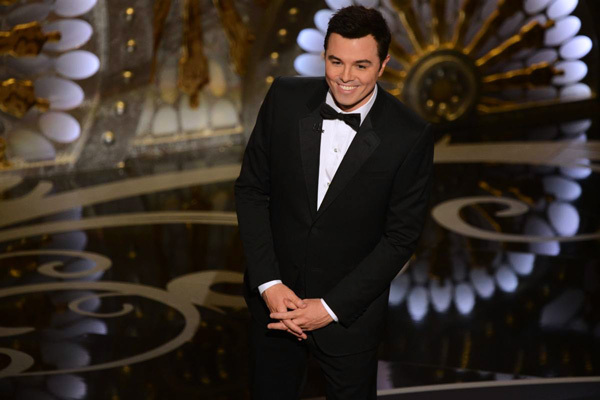 Best-known until recently as the bad-boy creator and character voice behind “Family Guy” and last summer’s hit film “Ted,” MacFarlane seized the camera Sunday as host of ABC’s Oscarcast and proved to its vast audience that he’s a ridiculously versatile entertainer, a guy who can be as charming as he is famously irreverent, even polarizing. And now the endless Oscar coverage begins anew. The hosts nearly always stink on ice, so this really wasn’t that bad. It had funny bits. It had bombs (really, what a waste of Melissa McCarthy’s talent). And it had a respectable chorus singing a disreputable song: a song that I’d like to say is still stuck in my head. That was kind of the highlight of my evening. It’s always a rather forgettable waste of an evening. I crashed out halfway through the show. I think it was an improvement. Sure, Billy Crystal is funnier. But he’s also safe and predictable. Putting on somebody safe and predictable makes the show about as exciting as watching an ice fishing tournament. I’m glad they put on somebody who could be both funny and offensive at the same time. Or at least funny in a sophomoric way. It helps remind everybody that making a big production of this ceremony is a silly thing anyway.